Still thinking of ways to improve your iPhone 4/4S snapshots? You might want to give this circular polarizing filter lens (CPL) made especially for the said devices a try. 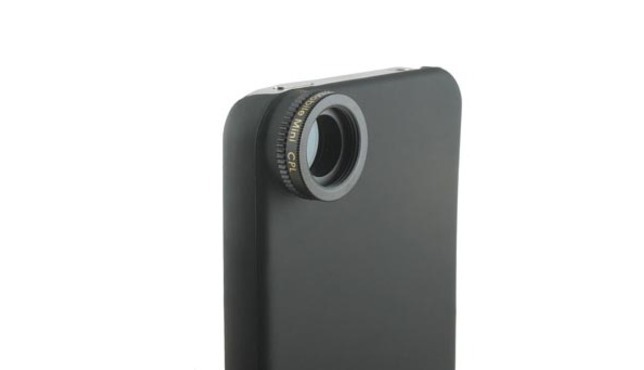 The filter is attached to a case and promises to reduce reflections and glare on your shots. While there are quite a number of photo filtering apps now available that aims to do just that, nothing beats a hardware accessory to come up with your desired output. With many people turning to their mobile phones for those casual photo-ops, this accessory could prove to be a handy tool to improve your shots. The add-on filter and case costs $37.99, expectedly not as cheap as its software alternatives but if you find yourself using your iPhone 4/4S more on your special occasions, then it could be worth the price tag.